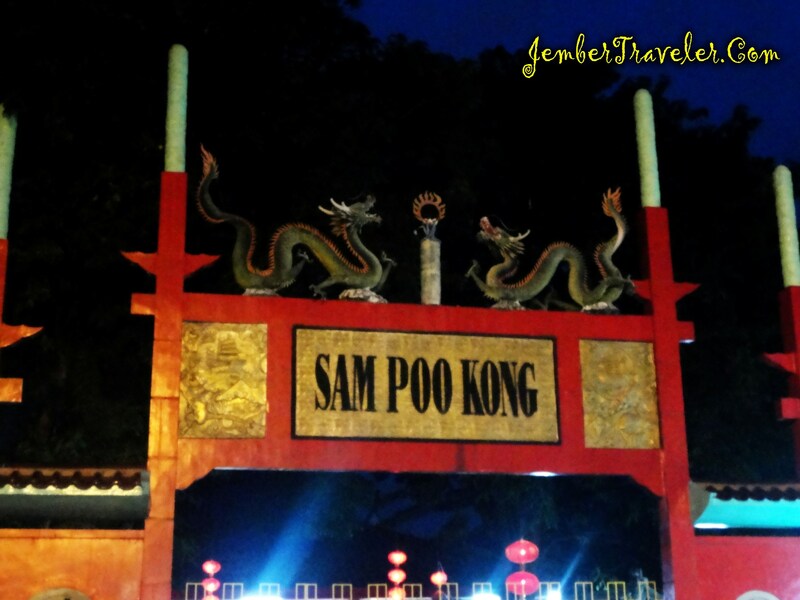 On Saturday evening at 7:20 p.m., I visited the Great Temple Sam Poo Kong. Just paying the entrance ticket for IDR3, 000, I entered the great temple. The place is divided into tourism area and praying area. 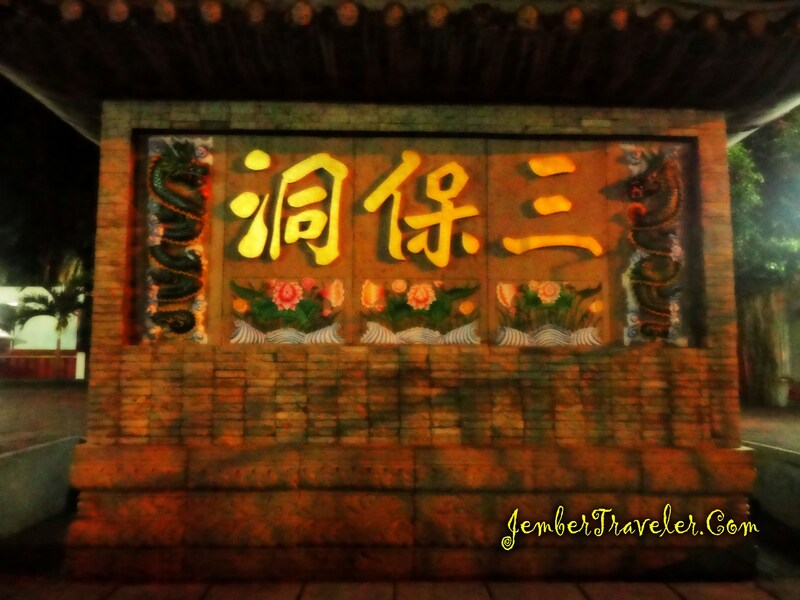 I just entered the tourism area, the night view I enjoyed was light from red lampions, a special feature of the Chinese. But I wasn’t satisfied coming after the sunset because I couldn’t take pictures well due to too dark. 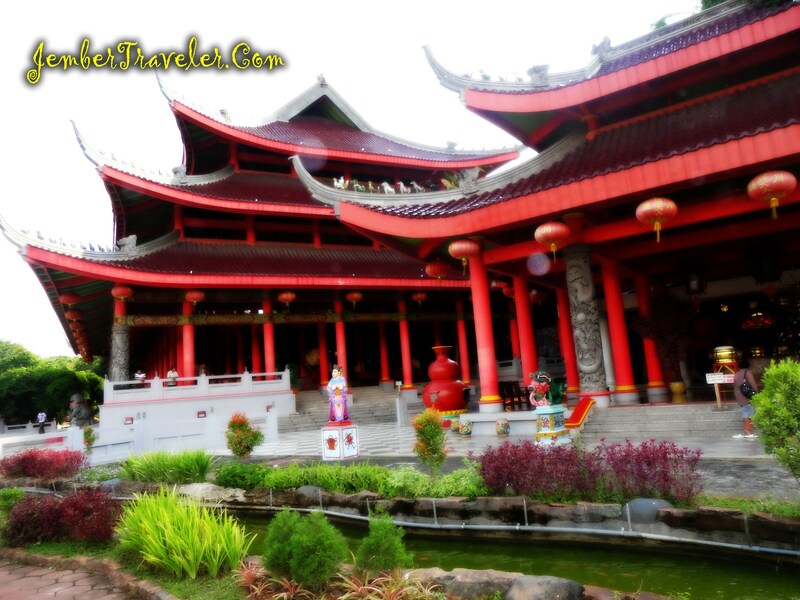 The Sam Poo Kong Temple or called as Gedong Batu is located in Jalan Simongan no. 129, Bongsari subdistrict, Southern Semarang. 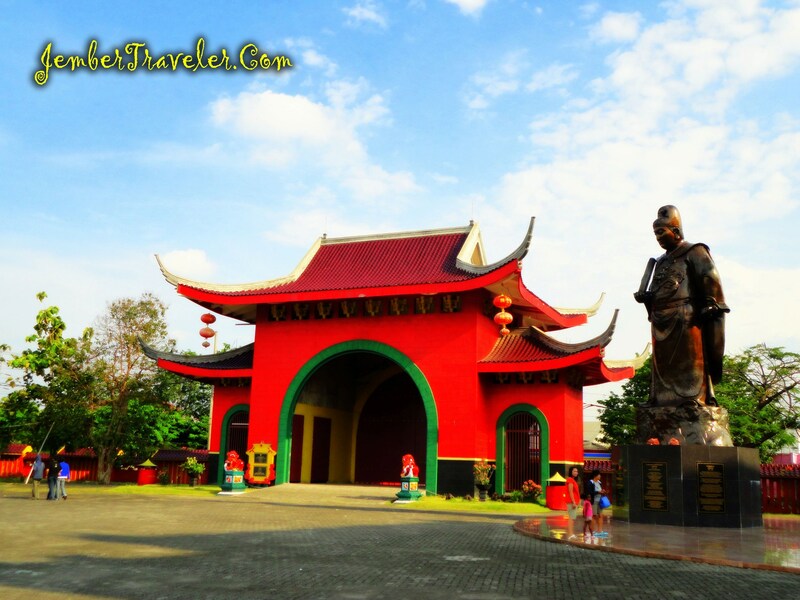 The temple is run by Sam Poo Kong Foundation. 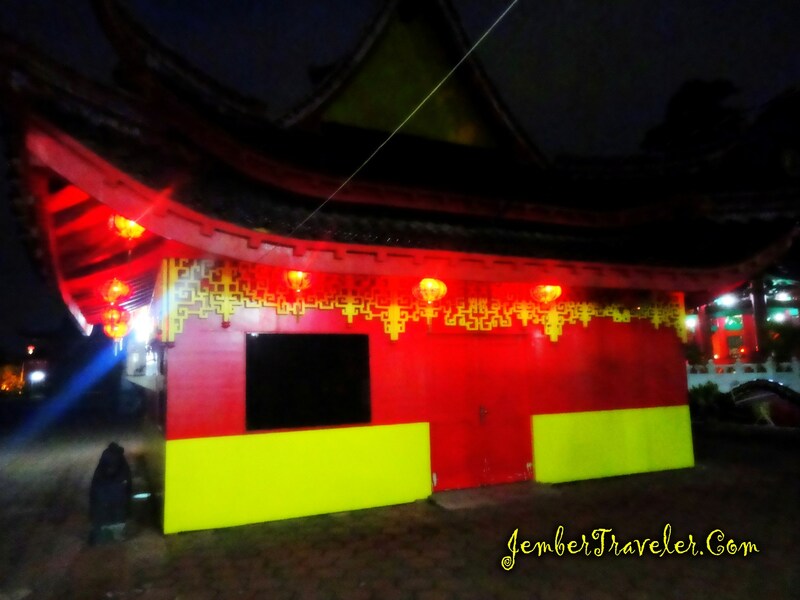 According to my friend’s story in Semarang, it’s believed that the temple was built to give tribute to a Chinese admiral namely Cheng Ho. It’s believed that Cheng Ho was born in Mongolia, and then he got kidnapped and brought to China. He was trained really hard by the kingdom to be focus on taking the kingdom’s orders. He was assigned to sail to Java Island to trade, and spread Islam. On his voyage around the Javanese Sea, there was a man on his ship got sick. So, Cheng Ho ordered to anchor on the north sea of Semarang, and built a mosque. Later, Cheng Ho continued his voyage. Some of his men stayed in Simongan Village and married local people. During his stay in Semarang, Cheng Ho gave lessons to farming and spread Islam to people surround. The mosque Cheng Ho built somehow used as temple. 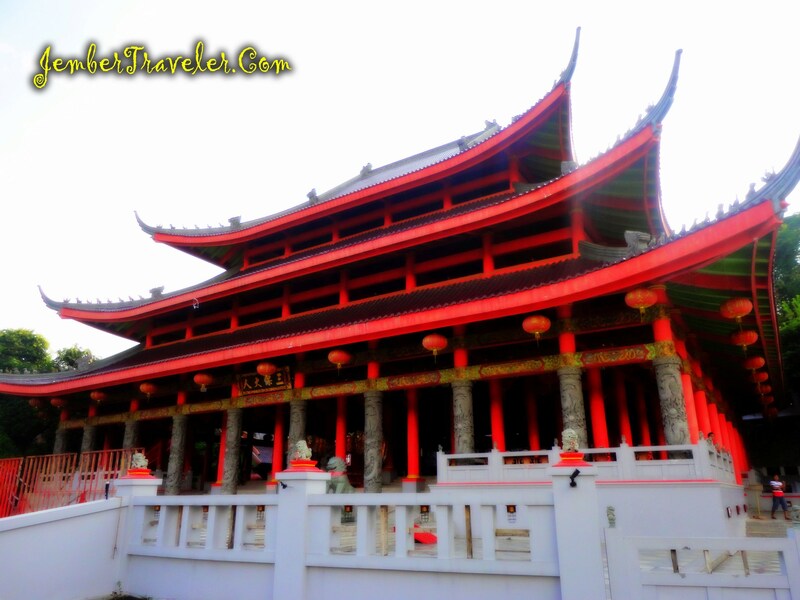 The Chinese Indonesian recognizes it as a temple due to the Chinese architecture. Even though Cheng Ho was Moslem, people respected him as god. Based on Kong Hu Chu, those who have passed away can give people helps. The next day, I revisited the temple to see the day view. I felt good being in the temple area because of the cool breeze and no too heating sunlight around 3 p.m. That Sunday, there were many tourists taking pictures around the temple. I got good views and interesting history of this temple. It’s time for me to leave for my hometown in Jember.